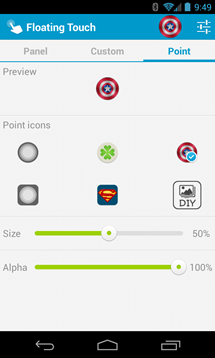 Facebook must've known what it was doing with the launch of Chat Heads, but that feature has been duplicated in everything from custom ROMs to apps attempting to clone the feature. The newest app to take note of Facebook's chat application is Floating Touch (not, it's not that floating touch), an app that makes basically any toggle, navigation shortcut, or app just a tap away. 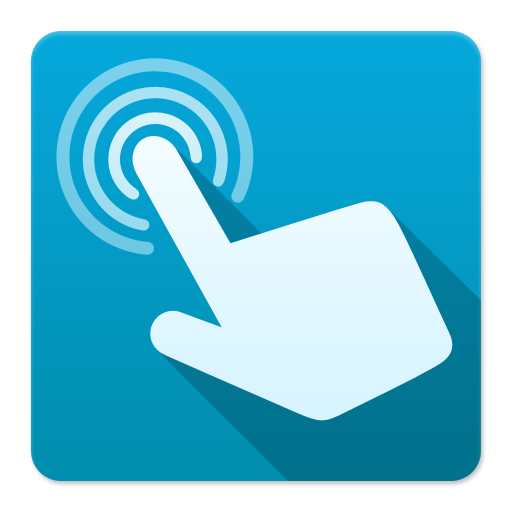 The concept behind Floating Touch is simple: a small, customizable floating toggle resides wherever you place it on the screen. 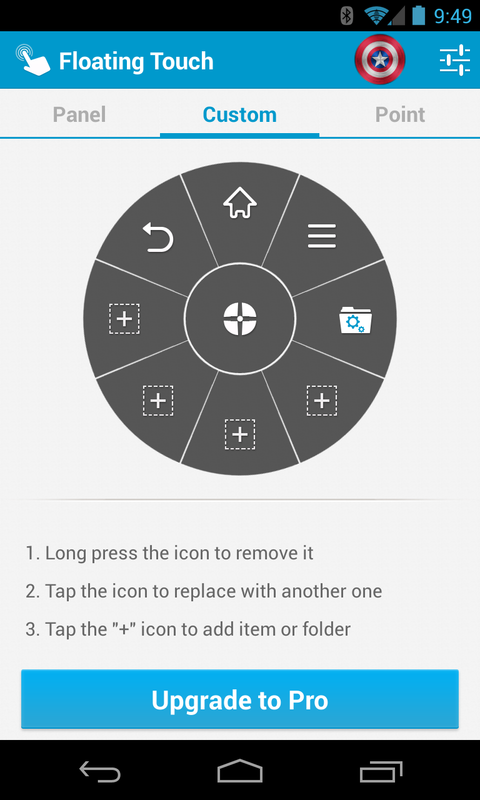 Tapping that toggle launches a dial chock-full of useful shortcuts – it's sort of like Acer's "Ring," but far more customizable. 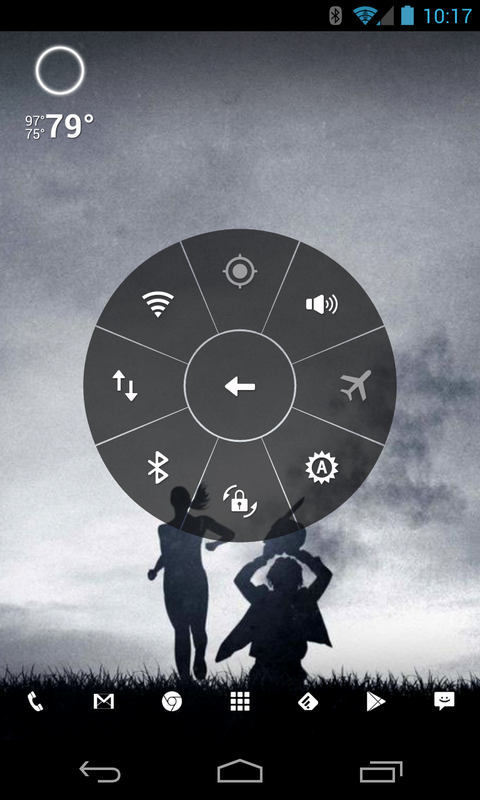 The dial has two different views: one for user-customizable navigation and app shortcuts, and one for radio, sync, and volume toggles – tapping the center button will flip between the two. Setup and customization is also quite intuitive and pleasant, with options for changing the color of the dial and floating icon (which includes Captain America's shield), along with full control of the options found within the dial itself. 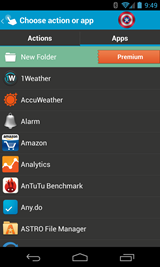 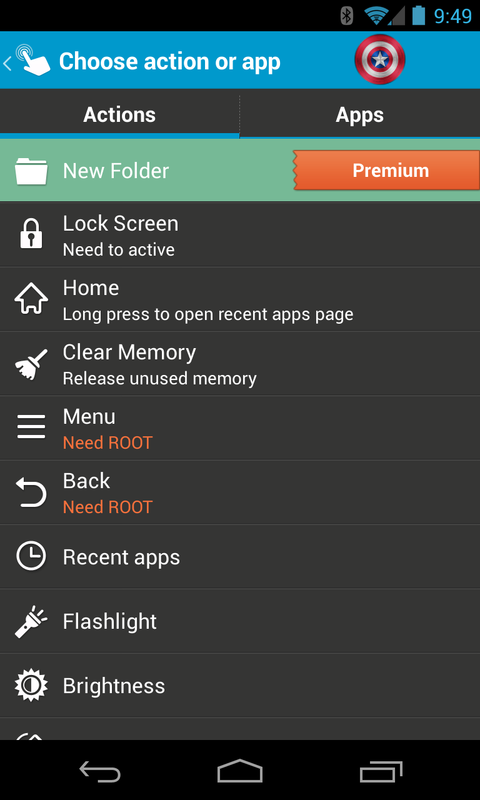 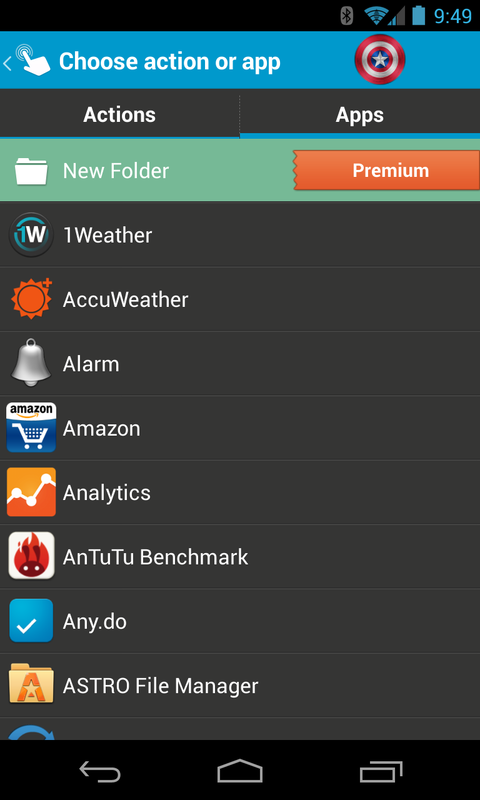 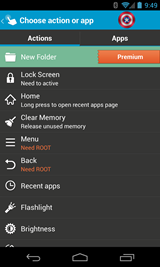 While most tasks that can be executed from Floating Touch work without a hitch, there are a few exceptions: if you want to use the app to create a folder, you'll have to purchase the pro version (which is roughly $2); and things like activating the menu and back buttons require root access. Past those limitations, it's a free-for-all. 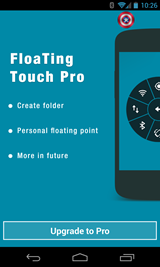 The only issue I found with Floating Touch was the response time – it took some actions a full 3-5 seconds to execute, while others were instant. I'm not sure if this is caused by the actions themselves, a delay in Floating Touch, or simply my lack of patience, but I thought it worth a mention. 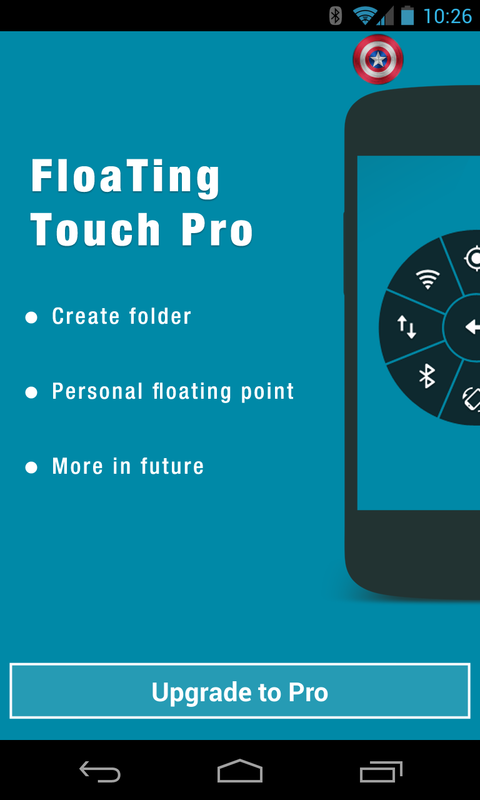 Either way, Floating Touch is a unique app worth checking out – it's free in the Play Store, though as mentioned above, some more advanced actions will require the pro version to be purchased.